With Owner Financing - Almost Everyone is Approved! and You Can Move in 2 Weeks! We have options to connect you with Lenders that can offer approvals similar to Owner Financing so you could possibly choose any home on the MLS once approved. NO LIMIT CHOOSE ANY HOUSE - EVEN NEW HOMES! RENT WITH OPTION TO BUY Too! Owner Financing Houses For Sale and Rent with Option to Buy. 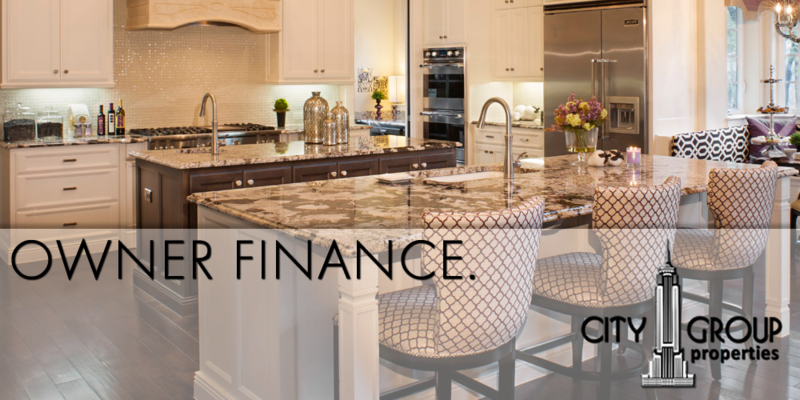 City Group specializes in Owner Financing and Rent with Option to Buy and can offer more properties than any other brokerage with seller financing options. What is Owner Financing and How Does Our Program Work? City Group Properties offers 3 options to help our buyers get in to homes. 2. We can connect you with loan officers that offer special financing to get you approved, and then we will help you find a property. 3. We can connect you with an amazing Rent with Option to Buy program to help you get in a home. 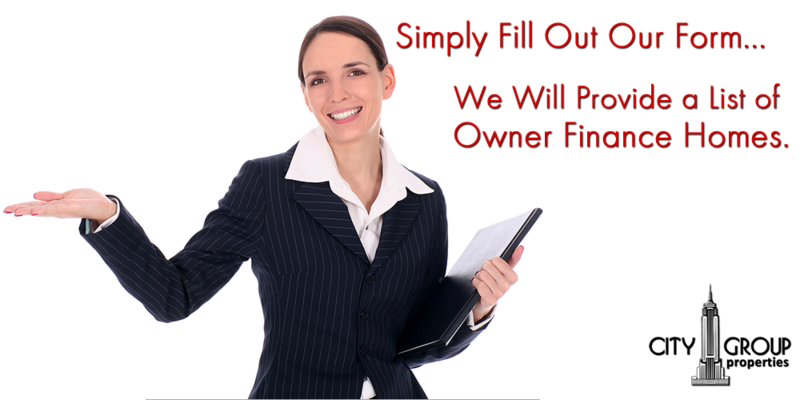 - Owner Financing is NOT Based on Your Credit or Your Tax Returns (although sellers will typically want to review both). If you have bad credit, no credit, or your tax returns say you make much less than you actually do because you expense alot of items and the bank will only qualify you based on tax returns, sellers will base your income from your bank statements and will allow you to explain away any past credit issues. - You Can Move in as Little as 2 Weeks! If done correctly, an owner financed transaction should be the same as any other properly conducted real estate transaction. As the buyer, you will have time to do inspections on the property to make sure it is in good condition. We will ensure a major title company is used to verify that there are no issues with the title before you purchase and to make sure that the title is properly transferred to you at closing. - City Group Properties is not a bank or a lender, we are a real estate brokerage. And just like any good realtor would do for their clients, we have found mortgage brokers and lenders that will SAY YES to people that everyone else has said NO to. - We will connect you with the right mortgage broker and once you are pre-approved, our job is to find the right house for you! - With this option, you can choose ANY home you want! - 20% down payment is typically required. - City Group Properties works with a nationwide company that will PURCHASE ALMOST ANY HOME you find on the MLS cash, and then rent it to you until you have the ability to purchase the property. BAD CREDIT - Don't worry! SELF EMPLOYED - We Can Help! 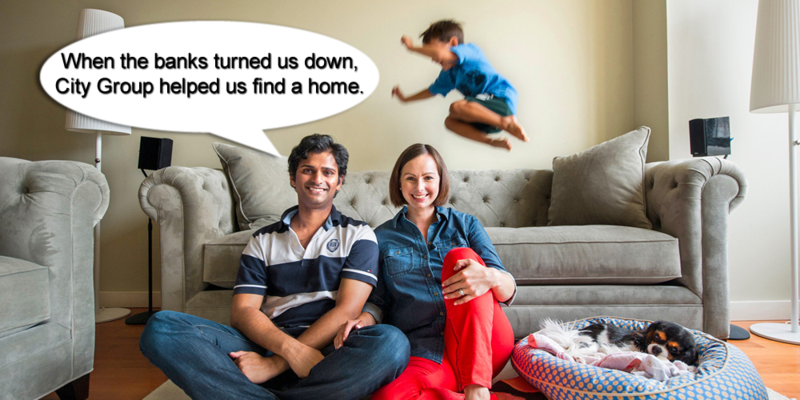 Do you expense a lot on your tax returns, but make more than enough to buy the house you want? We can help. Your income will be based on bank statements not tax returns. Sellers typically require 20% down payment and an income of 3 to 4 times the amount of your monthly payments. DON'T HAVE 20% TO PUT DOWN? RENT with option to BUY ANY HOME ON THE MLS PROGRAM. We have all the resources available to give you the most exact and successful search possible for available properties. That is one of the main reasons we have been the most trusted name in real estate to handle residential purchases and leases. New listings go up seemingly by the minute and we work diligently to put the newest listings in your hands immediately.